Places that were once used to dry and stock paper and cardboard, are now rearranged as dorms. The former warehouse has a capacity for 40 persons. (Four studios with each 10 beds.) 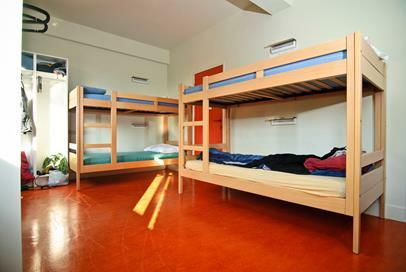 The dorms can only be rented by studio and each studio has its own toilet, shower and wash basin. There is also a common diversion room. There is also a kitchen which can be used. 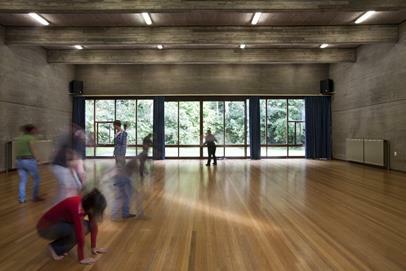 Looking for an inspiring location for creative activities? Welcome in Destelheide, a unique centre for youth, art and creativity in Flanders. Its architecture, the peaceful and green surroundings and the spacious rooms lend themselves perfectly to creative and artistic activities. But also to courses, trainings, conferences, workshops … with or without overnight stay. 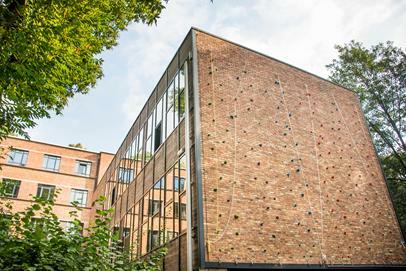 The Destelheide Training Centre primarily provides youth groups with a unique venue for multi-day activities. It offers an ideal setting for organising both small and large group activities. Also, companies can book this venue for seminars or teambuilding sessions. 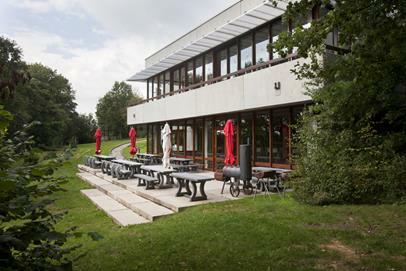 Hanenbos is an accommodation centre for youth work in a beautiful wooded area. The centre is equipped with modern facilities and has several day rooms which are suitable for training and other activities. 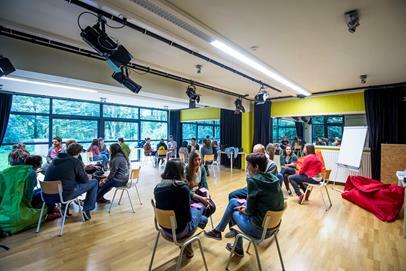 It primarily serves as a venue for multi-day events of Flemish youth groups, but other target groups are also more than welcome in Hanenbos. The provincial domain of Huizingen is within walking distance and also close are Brussels and Halle.